I have been implementing SAP projects for the last 12 years, working in different countries for different industries and clients’ sizes. For about 5 year I have been a part of SAP Values Prototyping team delivering rapid prototypes and proof-of-concept all over the globe. 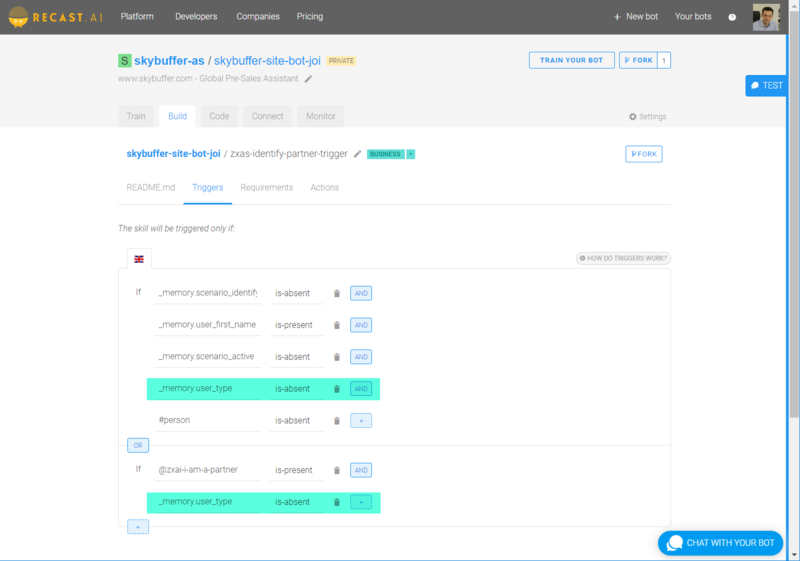 Currently, I am leading the SAP Practice and SAP Innovations at Skybuffer. 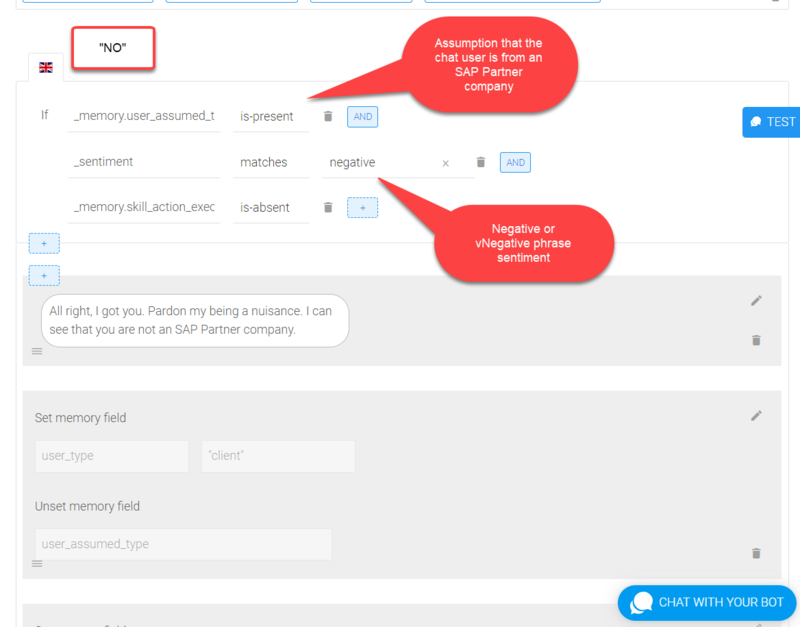 We are integrating recast.ai platform into our SAP certified add-on to make it possible to utilize conversational AI functionality as a part of simplified communication with SAP ECC and SAP S/4HANA interfaces. 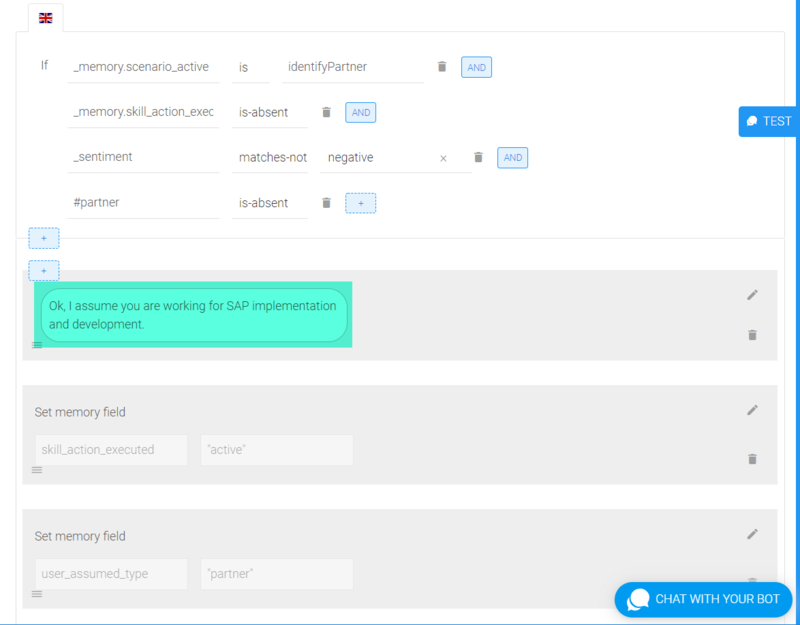 You are developing a chat bot and are given the limitation of, let’s say, SAP Fiori chat bot usage. In this case it is not possible or, rather, technically challenging to use Quick replies or Buttons. You have a case when the chat bot needs to capture Yes or No kind of answer from the chat user. 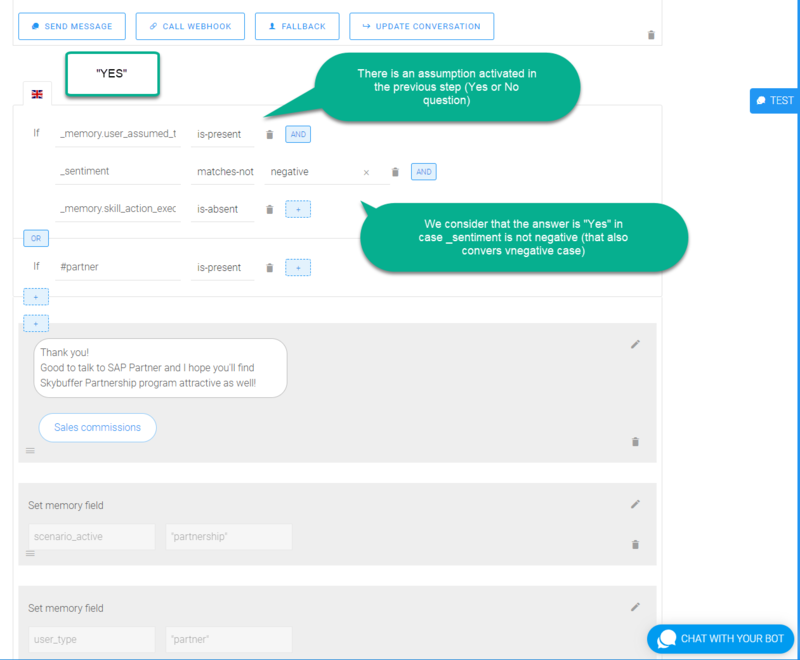 For sure, chat users might provide you with a variety of possible positive or negative answers that is quite complicated to capture into the kind of “gap free” intent. In the skill it is possible to define either some intent or _memory based triggers. 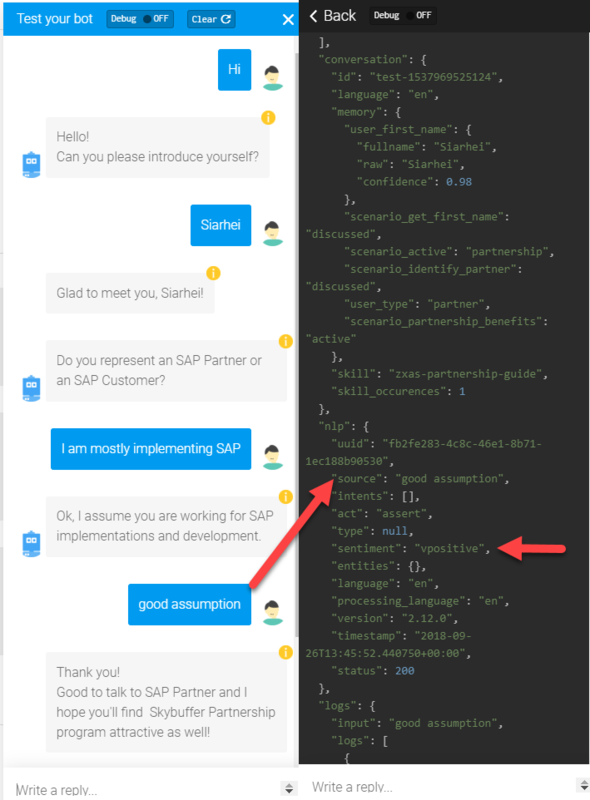 So, you can see that there is no intent here and my chat bot got it right that the chat user is highly likely to be from an SAP Partner company. On the image below, you can see that we have an assumption in _memory object to “keep in mind” that we are waiting for the answer, and the assumption object that is saved in the memory of the conversation together with a not negative NLP sentiment value will give us a “Yes” answer. This is quite a simple example of how to get “Yes” or “No” answer to the question using _sentiment analysis in case when Quick notes or Buttons usage is not possible.